bonus question did brac also create direct cash transfer (aka give directly)? “The Financial Differentiations,” the paper claims that individual’s financing activity is an important component of “Free Enterprise and Free Competition.” Through market segmentations and the “Quantity Discrimination,” individual’s freedom for finance can be honored. Only in the internet/digital economy, financial differentiation can lead the financial market to the economic efficiency. The Alibaba Way: Unleashing Grassroots Entrepreneurship to Build the World’s Most Innovative Internet Company, The World Edition of English by McGraw Hill Educational Press. January 2016. The book is listed in THE GLOBAL BUSINESS THOUGHT LEADER SERIES. The book addresses the function of public goods & services by private Internet companies. These companies enable grassroots entrepreneurship and facilitate job creations in the society. “Business Creation is Job Creation: Estimating Entrepreneurial Jobs,” using several large databases in the US, the paper empirically demonstrates that in the process of creating businesses, entrepreneurs not only create jobs for others, but most importantly for their own. The paper estimates that only about 1/4 of new jobs go to “employed workers” and the rest 3/4 belong to “self-employed entrepreneurs.” The Wall Street Post, the Harvard Business Review and many other media across the USA cited the paper. The paper was presented at the 2011 American Economic Association Annual Conference in Denver. “An Examination of Entrepreneurial Effort,” a seminal theoretical paper presented at the 2006 American Economic Association Annual Conference in Boston. Using neo-classical economics framework, the paper explains: 1) why do entrepreneurs create businesses; 2) what the role of entrepreneurial effort is in the macroeconomy; 3) what the role of government is in the allocation of entrepreneurial efforts; and 4) what the role of “Initial Capital” is in the allocation of entrepreneurial efforts. “Business Density, Entrepreneurship and Economic Well-Being,” research paper presented at the 2005 American Economic Association Conference in Philadelphia. Using the US 50-states data, this paper is the only paper known relating business pervasiveness to people’s economic wellbeing. The paper estimates that increasing 1% of business density escalates personal income, household income and tax revenue by more than 1%. Especially, the test indicates the impact of women business ownership to be more robust in improving economic well-being. 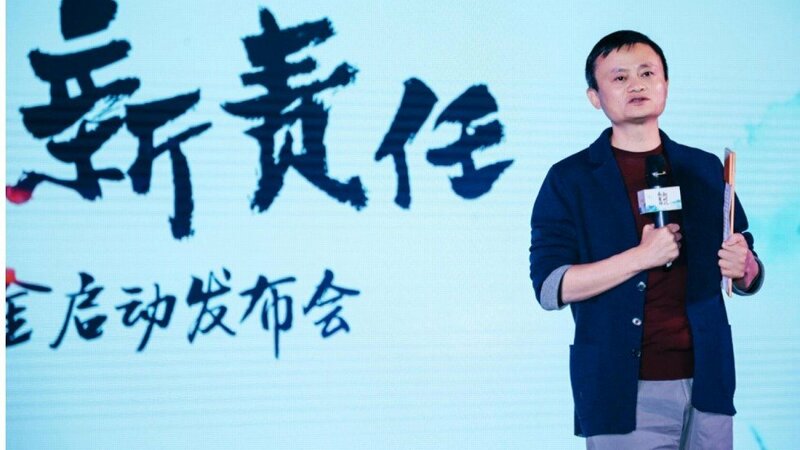 06/2015-Present Senior Economic Advisor and Member of Academic Committee of Alibaba Research Institute; Member of Academic Committee of Network Think Tank Academic Committee; Senior Researcher, Tsinghua Research Institute for Innovative Development. 09/2000-11/2011 Senior Economist, Office of Economic Research (OER), Office of Advocacy, U.S. Small Business Administration (SBA). 12/2006-12/2007 Senior Research Scientist, the GW Center for the Study of Globalization, George Washington University. “The Evolution of New Retailing Business”, upcoming 2018, Sungkyun China Observe, Sungkyunkwan University, South Korea. The Microtheory of Innovative Entrepreneurship, Translation of William Baumol’s book into Chinese, upcoming in 2018, by The Truth & Wisdom Press. “Professor William Baumol’s Academic Legacy and the Revival of Economics of Innovation & Entrepreneurship,” http://m.culture.caixin.com/m/2017-05-13/101090566.html. Professor William Baumol has systematically introduced the theory of economic growth based on innovation and entrepreneurship into the field of mainstream microeconomics: the first is his 1993 book Entrepreneurship (Translation and Publishing of Wuhan University Press) The second time is the "Growth of Capitalism Growth in 2002 - Free Market Innovation Machine" (translated and published by CITIC Publishing House); the third time is the microeconomic theory of innovation that my colleague and I translated together. (will be published by Gezhi Publishing House). These unremitting efforts come from Baumol's regret for life, that is, innovative entrepreneurs are the protagonists of creating modern technology and civilization. Economics lacks a highly abstract mathematical analysis and rigorous analytical derivation. He often quotes the British saying "there is no Hamlet of the Danish prince" to describe the situation in which mainstream economic growth theory ignores research entrepreneurs. “The Financial Differentiation,” Preface of The Financial View, the First Volume, 2017, Beijing: The Chinese Finance Press. http://www.dooland.com/magazine/article_921541.html. Le modèle Alibaba, nuvis, Paris, 2016. “Economic Estimate of Eradication of Poverty by E-Commerce,” in Eradication of Poverty by E-Business: The New Chinese Model of Development in Impoverished Area, 2016, Beijing: The Commercial Press. The Alibaba Way: Unleashing Grassroots Entrepreneurship to Build the World’s Most Innovative Internet Company, The World Edition of English by McGraw Hill Educational Press. January 2016. The Alibaba Model: Growing by Unleashing Grassroots Entrepreneurship, ANDBooks Publishing House, November, 2014. “The Contribution of Small Business Ecosystem to Employment: a Literature Review”, in 2014 China Population Yearbook, the Institute of Population and Labor Economics, Chinese Academy of Social Sciences, China Social Sciences Press, September 2015，P. 303-321. “The Alibaba Innovation,” in Anaemic Europe: How to Achieve Dynamism and Mass Flourishing, published by Springer International Publishing Company, 2015. History of Small Business in America，Zhejiang University Press，2013. “Alibaba Microfinancing Service Innovations and China's Financial Sector Transformation and Democratization,” XXV Villa Mondragone International Economic Seminar, June, 2013, Rome, Italy. “Economic Perspective: E-commerce Taxation Stimulates Innovations”， http://cpc.people.com.cn/pinglun/n/2013/0524/c78779-21601815.html, 2013-5-24 China Daily. “Rapid Invention, Slow Industrialization, and the Absent Innovative Entrepreneur in Medieval China,” with William Baumol, Proceedings of the American Philosophical Society, Vol. 157, No. 1, March 2013. “A Survey of Micro Enterprises and Their Finance,” presented at the 2012 World Finance & Banking Symposium, December 2012, Shanghai. “Developments in Women-owned Business, 1997-2007,” 2011 Office of Advocacy, U.S. Small Business Administration, http://www.sba.gov/sites/default/files/rs385tot_0.pdf. “Creative Destruction and Job Creation,” presented to the 2011 Global Entrepreneurship Conference organized by the International Council of Small Business. “Race/Ethnicity and Establishment Dynamics 2002-2006,” November 2010, Office of Advocacy, U.S. Small Business Administration, http://archive.sba.gov/advo/research/rs369tot.pdf. “Gender and Establishment Dynamics, 2002-2006,” August 2010 Office of Advocacy, U.S. Small Business Administration, http://archive.sba.gov/advo/research/rs368tot.pdf. “Preference for Exerting Entrepreneurial Effort: a Neoclassical Model and Computational Simulation,” presented at the 2010 Society for the Advancement of Behavioral Economics conference. “Startup Business Characteristics and Dynamics: A Data Analysis of the Kauffman Firm Survey,” Office of Advocacy Working Paper, http://archive.sba.gov/advo/research/rs350tot.pdf, August, 2009. “Reflect on the Employment Difficulties of College Graduates,” in Unleashing Ideas and Enlightening China, ed. by Shanghai Entrepreneurship Foundation for College Graduates, CITIC Press, China, p. 229- 242. “Entrepreneurial Activities: A Microeconomic Analysis,” 2008 American Economic Association Annual Meetings in New Orleans, http://papers.ssrn.com/sol3/papers.cfm?abstract_id=1158147 with Vincy Fon, Jan. 2008. How much credit can be given to entrepreneurship for the unprecedented innovation and growth of free-enterprise economies? In this book, some of the world's leading economists tackle this difficult and understudied question, and their responses shed new light on how free-market economies work--and what policies most encourage their growth. The contributors take as their starting point William J. Baumol's 2002 book The Free-Market Innovation Machine (Princeton), which argued that independent entrepreneurs are far more important to growth than economists have traditionally thought, and that an implicit partnership between such entrepreneurs and large corporations is critical to the success of market economies. The contributors include the editors and Robert M. Solow, Kenneth J. Arrow, Michael M. Weinstein, Douglass C. North, Barry R. Weingast, Ying Lowrey, Nathan Rosenberg, Melissa A. Schilling, Corey Phelps, Sylvia Nasar, Boyan Jovanovic, Peter L. Rousseau, Edward N. Wolff, Deepak Somaya, David J. Teece, Naomi R. Lamoreaux, Kenneth L. Sokoloff, Yochanan Shachmurove, Ralph E. Gomory, Jonathan Eaton, Samuel S. Kortum, Alan S. Blinder, Robert J. Shiller, Burton G. Malkiel, and Edmund S. Phelps. Eytan Sheshinski is Sir Isaac Wolfson Professor of Public Finance at the Hebrew University of Jerusalem. Robert J. Strom is Director of Research and Policy at the Ewing Marion Kauffman Foundation. 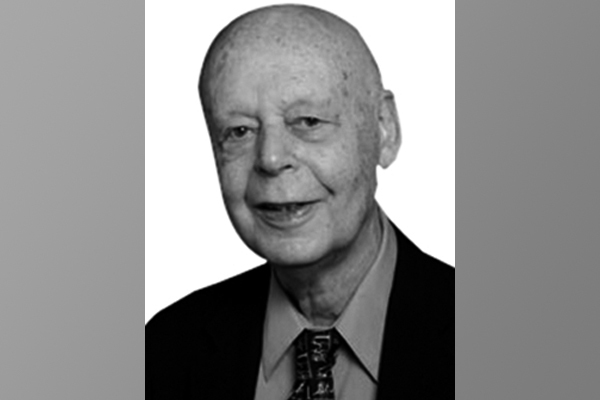 William J. Baumol is Academic Director of the Berkley Center for Entrepreneurial Studies at New York University, and Professor Emeritus and Senior Economist at Princeton University. “Minority Business Development Index: A Data Report on American Minority-Owned Business,” Social Science Research network, May 7, 2007, http://papers.ssrn.com/sol3/papers.cfm?abstract_id=984907. “Minorities in Business: A Demographic Review of Minority Business Ownership,” 2007 Office of Advocacy, U. S. Small Business Administration, http://archive.sba.gov/advo/research/rs298tot.pdf. “An Introduction to the Session Chaired by Ying Lowrey,” in Professor William Baumol’s conference publication on Entrepreneurship, Innovation, and the Growth Mechanism of the Free-Market Economies, Princeton University Press. 2007, http://press.princeton.edu/titles/8439.html. “Women in Business: A Demographic Review of Women’s Business Ownership,” 2006 Office of Advocacy, U. S. Small Business Administration, http://archive.sba.gov/advo/research/rs280tot.pdf. “Gender Difference in the Revenue and Cost of Sole Proprietorships: Industry, Activity, Size and Location,” with Joanne Pratt, submitted to 2006 International Council for Small Business Conference. “An Examination of Entrepreneurial Effort,” 2006 American Economic Association Annual Meetings in Boston, http://www.aeaweb.org/annual_mtg_papers/2006/0107_1430_0302.pdf. “U.S. Sole Proprietorships: A Gender Comparison, 1985-2000,” U.S. Small Business Administration Office of Advocacy Working Paper, September 2005, http://archive.sba.gov/advo/research/rs263tot.pdf. “Dynamics of Minority-Owned Employer Establishments, 1997-2001,” SBA Publication, January 2005. http://www.sba.gov/advo/research/rs251tot.pdf. “Business Density, Entrepreneurship and Economic Well-Being,” 2005 American Economic Association Meeting in Philadelphia, http://www.aeaweb.org/annual_mtg_papers/2005/0107_0800_0401.pdf. “Dynamics of Women-Operated Sole Proprietorship Businesses, 1990-1998,” SBA publication, March 2003, http://archive.sba.gov/advo/stats/rwosp_03.pdf. “The Entrepreneur and Entrepreneurship: A Neoclassical Approach,” presented at the Allied Social Science Associations (ASSA) Annual Meeting, January 2003, Washington, DC. Office of Advocacy, SBA Working Paper, http://archive.sba.gov/advo/stats/wkp03yl.pdf. “Minorities in Business, 2001,” SBA Publication, November 2001, http://archive.sba.gov/advo/stats/rwosp_03.pdf. “Women in Business, 2001,” SBA Publication, October 2001, http://archive.sba.gov/advo/stats/wib01.pdf. “Economic Globalization and Its Impact on Women’s Development,” presentation at Beijing National Government Senior Officials’ Summer Workshop organized by Chinese Federation of Women, July 2000. “Deflation in China: Causes, Impacts and Policy Recommendations,” Development Research Center, State Council of China, with Dr. Guoqiang Long, January 2000. “Unemployment Insurance in China: Contribution Rate, Benefit Structure, and Long Run Considerations – Perspectives from a Theoretical Framework and International Experiences,” Chengdu Conference of China’s State Own Enterprises Reform, with Dr. Jun Ma, July 1999. “Unconditionally Renew China's Most Favored Nation Status: to Accelerate China's Reform, Open this Large Market and Protect American Business Interests in China -- A Perspective from a Group of Chinese Economists and Economics Students,” testimony, June 12, 1991, United States-P. R. China Trade Relations Page 4 of 4 Hearing before the Subcommittee on Trade of the Committee on Ways and Means House of Representatives, One Hundred Second Congress, First Session, Serial 102-38, U.S. Government Printing Office, Washington: 1992. “Foreign Capital Utilization in China: Its Achievements, Problems, and Further Reform of the Policy,” presented to and prepared for 1990 Institute, San Francisco, 1991. “Macroeconomic Effects of Government Spending and Foreign Borrowing in a Small Open Economy -- An Examination for Japan, 1885-1939,” presented at Western Economic Association International Conference, June 1990. Foundation of Econometrics, April 1984, with other authors, Press of Chinese Academy of Social Sciences. “The Saving-Investment-Distribution Model -- An Interim Report,” World Bank Working Paper, with Adrian Wood, July 29, 1983. “Establishing an Energy-Base for Progressive and Ecologically Balanced System,” No. 35, December 1981, NENGYUAN ZHENGCE YANJIOU TONGXUN, Committee of Energy in China. “Design and Application of an Econometric Model for Shanxi Investment in Energy-Base,” No. 3 and No. 4, 1981, JINGYANG XUEKAN, Economics Institute, Academy of Social Sciences of Shanxi Province. “Theory and Application of Regional Input-Output Model,” GUIZHOU XUEKAN, Economics Institute, Academy of Social Sciences of Guizhou Province, with Zhang Shouyi, Summer 1981. “Tinbergen's Econometrics,” No. 5, 1981, JINGJIXUE DONGTAI, Economics Institute, Chinese Academy of Social Sciences. “Klein and Other Professors on Several Issues in Econometrics,” No. 9, 1980, JINGJIXUE DONGTAI, Economics Institute, Chinese Academy of Social Sciences, with Liang Weijian. My apologies for the tardy response, and thank you for this exciting update! BRAC truly is an inspiring organization, and Ashesi remains excited to join them in participating in Accra’s upcoming WISE summit. 13 institutions were represented at last year’s Education Collaborative, but unfortunately none were South African and Taddy Blecher’s was not among them. This year, the organizers of the Collaborative hope to attract more international participants and make the event truly Pan-African. The Ashesi University Foundation is located in the United States and is not involved with organizing the Education Collaborative; however, I will inquire about Taddy’s university during my next conversation with my colleagues in Ghana and suggest that he be invited to this year’s event. Dr Muhammad Musa is the executive director of BRAC. He has an extensive background in leading humanitarian, social development, and public health organisations in international, cross-cultural settings. A medical doctor and public health specialist, he has a specialised training in maternal and child nutrition, and disaster management. Before joining BRAC, he worked for 32 years with CARE International as one of its senior international management professionals. Twenty of those years were spent working in Ethiopia, Uganda, Sudan, Tanzania, Thailand, India, Bangladesh and Asia region. He has long experience in strategic leadership, governing board management, executive-level management of large-scale operations, and humanitarian and social development programme management. He specialises in people management, leadership development, conflict resolution, and organisational change management. He also has a proven track record in effective external relationship management, marketing, brand-building, communications, and fundraising for humanitarian and development projects. He has been successful in bringing about convergence of philanthropic approaches and entrepreneurial methodologies to create sustainable development programming that achieves impact on a large scale. In the professional field, Dr Musa has established a reputation for leading complex organisational change processes in multicultural settings. In addition, he is known for his unique ability to attract and develop young professionals into humanitarian and social development leaders. He is also an internationally recognised senior management trainer and an experienced coach.